As a law student, Megan worked at Texas Rio Grande Legal Aid where she helped low-income Texans with legal issues. She also interned at the Bexar County District Attorney’s Office and the Office of the Federal Public Defender, Western District of Texas. Her experience in the district attorney’s office was both enlightening and career-changing. Working there opened her eyes to the vast and pervasive abuses fellow citizens suffer at the hands of the criminal justice system. That experience has made Megan a passionate advocate for the rights of her fellow citizens. After receiving her law license in 2011, Megan devoted her practice to defending those accused of crimes by the government. She began her career in San Antonio, initially focusing on intoxication related offenses, including DWI and other drug crimes. In 2015, Megan moved to Central Texas and began a firm in San Marcos, where she defended a wide-variety of criminal accusations, including DWI, drug possession, assault, theft, and many others. In 2016, Megan partnered with Daniel Mehler to form Roper & Mehler. Since that time, they have expanded their practice to serve more areas in Texas. In July 2016, they opened an office in Dallas to better service the North Texas area. Together Megan and Daniel have shifted their focus to cannabis related issues, including criminal defense and advice and consultation services for emerging businesses in the cannabis industry. In addition to her work inside a courtroom, Megan is an advocate for the reform of cannabis laws in Texas. Megan is a founding board member of the Texas Association of Cannabis Lawyers, a lifetime member of NORML, a former board member of the San Antonio Criminal Defense Lawyers Association, an active member of the Dallas Criminal Defense Lawyers Association, Texas Criminal Defense Lawyers Association, and the Legal Committee of the National Organization for the Reform of Marijuana Laws. Daniel has devoted his entire career to assisting cannabis users. He passionately believes in the reform of our justice system and the legalization of marijuana. 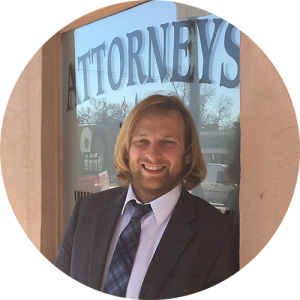 Prior to his relocating to Texas in 2014, Daniel worked extensively in the cannabis industry in Colorado, both during and after law school. He enjoyed working with and advising patients, caretakers, retailers, growers, concentrate and edible manufacturers, and a variety of other participants in Colorado’s emerging industry. His list of clients includes some of the largest and most successful operations in Colorado with several clients grossing $1,000,000 or more in 2016. Daniel made his name in South and Central Texas as a prolific trial attorney after relocating to Texas. Daniel has extensive trial experience in a wide variety of criminal settings, litigating everything from marijuana possession and distribution to solicitation of capital murder. Daniel is credited with the first medical marijuana jury instruction in the State of Texas in December of 2016 in County Court #14 of Bexar County, Texas. His client was found not guilty. Daniel is also credited with a groundbreaking challenge to the prohibition of THC other than marijuana, for example, hash oil or edibles, that has been used and is being used across the State of Texas. Daniel is an active member of the Texas Criminal Defense Lawyers Association, a lifetime member of NORML, the San Antonio Criminal Defense Lawyers Association, the National Organization for the Reform of Marijuana Laws Legal Committee, as well as the Founder and President of the Texas Association of Cannabis Lawyers.